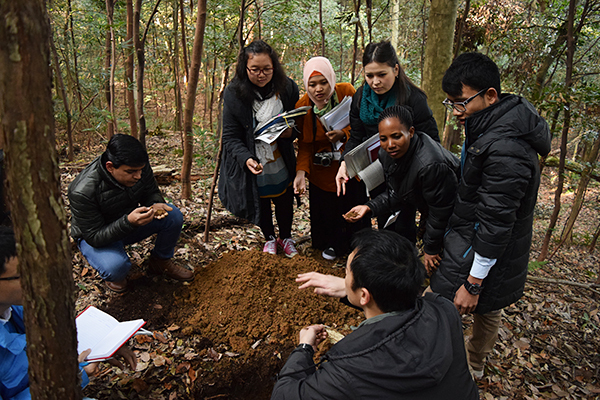 The Environmental Studies section, comprising the Graduate School of Global Environmental Studies and Graduate School of Agriculture, covers a number of fields, including natural sciences, social sciences and humanities. 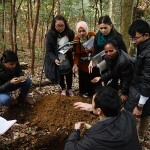 We conduct interdisciplinary and practical research activities that contribute to endeavors in relation to environmental issues, together with international collaborative education programs with overseas universities, with the aim of cultivating globally minded human resources who can play active roles in environmental fields. Our new environmental technologies have received high ratings, as evidenced by receipt of the JSPS Prize (Takeshi Katsumi), the Japan Water Prize (Grand Prize) (Hirohide Kobayashi, Hidenori Harada and Ayako Fujieda), and the Environment Minister’s Prize in the Environmental Awards sponsored by the Hitachi Environment Foundation (Hitoshi Shinjo). 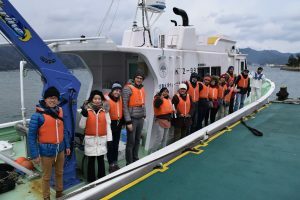 In educational activities, we offer excellent opportunities for learning from pioneering cases, inviting such renowned researchers as Mr. Lester R. Brown from the Earth Policy Institute and Mr. Shigeatsu Hatakeyama from the NPO “Mori wa Umi no Koibito” (“Forests Are Lovers of the Sea”). We engage in interdisciplinary research activities across fields encompassing environmental studies and practical hands-on education, including internships, whilst collaborating with partner institutions in Asia, Africa, the Americas, Europe, and the Pacific Region on research cooperation and exchanges of short-term study abroad students. We operate double-degree programs with Universitas Gadjah Mada, Kasetsart University, Mahidol University and Bogor Agricultural University. We are also working on future development of education programs with universities outside of Southeast Asia. We offer double-degree programs and international internship programs (sending about 15 students per year to overseas partner universities). 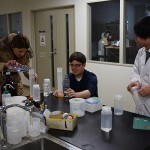 We also organize the “International Spring School” every year as an opportunity to learn about the Japanese environment and environmental study techniques for short-term study abroad students that we will accept from partner universities, and we invite renowned overseas faculty members to hold special seminars. Through these initiatives, we actively promote internalization of education. In research activities, Professor Naoshi Kondo received the Japan Prize of Agricultural Science (2017).